At Faroncrown Manchester, we understand that choosing the right windows for your home is an important decision, which is why Faroncrown offers a bespoke windows package so you can create a unique look for your home! You’ll not only enhance the appearance of your property but also vastly improve insulation and security. Are you looking for something unique? That nobody has had before? Have you considered Bespoke Windows? 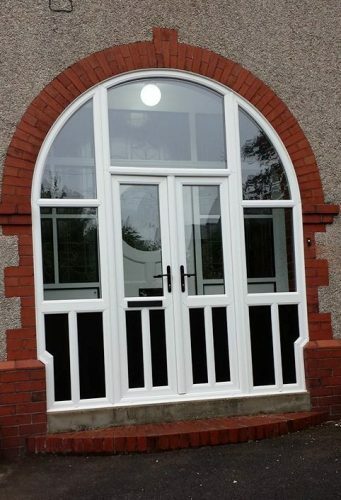 We custom design and manufacture luxury PVCu windows to your exact requirements or specification. If you have a specific design in mind or have requirements that you would like to be met this is exactly what our bespoke windows service is for. The quality and workmanship that goes into creating Faroncrown windows is undeniable; below is what one of our happy customers had to say about our services. To discuss your bespoke window requirements in detail please contact our friendly team on 0161 366 7788. We can also provide you with a free quote.